The San Pedro Fire Department has a new Sub Station Officer who takes the position of Officer in Charge. Veteran Fire Fighter Phillip Mencias officially took over the helm of the sub-office on Monday August 5th, replacing Jerome Garcia, who was transferred to Punta Gorda Town. Speaking to The San Pedro Sun, Mencias said that he brings along 21 years of experience, having joined the Fire Department in 1982. “I grew up on San Antonio Road next to the Orange Walk Fire Station and I always wanted to be a fire fighter,” explained the born Orangwalkeño. One of the immediate observations made by Mencias is the challenges that may present itself with the narrow streets of San Pedro Town. “If any help should be needed, it will take a little longer than it would take on the mainland,” he commented. 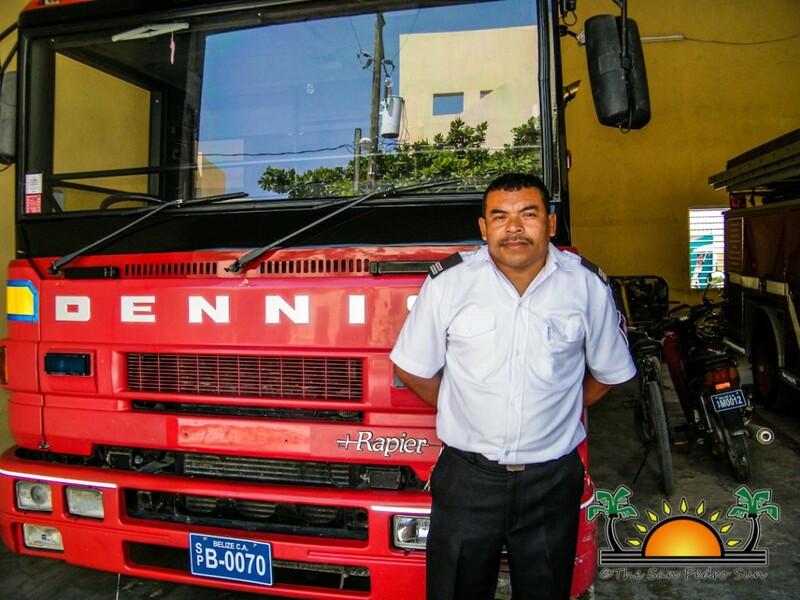 Before taking up duties on Ambergris Caye, Mencias held a similar position at the Belmopan City Fire Department. Currently the San Pedro Fire Department has three full time fire officers, three temporary fire fighters and three volunteers. The island’s fire department is equipped with two fire trucks. The San Pedro Sun joins the community in welcoming Mencias to San Pedro Town and wishes him the best during his stay on Ambergris Caye.